The Nature's Notebook Summer Short-course is designed to help you begin a long-term, sustainable monitoring program with students, volunteers, or staff. Need help figuring out how to get started with Nature's Notebook? Our website contains a lot of information but is designed to provide you with the resources you need to observe with a group of people. Consider this short-course to help you find what you need and start thinking about how to establish a sustainable Nature's Notebook program. The Nature's Notebook Summer Short-course is a 4-week long, 8-10 hour online course. It is designed to help you find what you need on the Nature's Notebook and USA-NPN websites and explore how other Local Phenology Leaders are using Nature's Notebook to answer local science and management questions. Through participation you are eligible to earn 10 learning-hours of credit for continuing education. This course teachs the basics of Nature's Notebook monitoring and how to train others in the field. The course is facilitated online in the Canvas Learning Management System. Due to time zones and online-in person participation, we are only able to enroll participants who are in the United States and are able to contribute observations to our Nature's Notebook phenology monitoring program. Participants should plan to spend approximately 2 hours per week on the course materials. There is a required weekly meeting and one homework assignment that must be completed to be successful. The cost of the course is a non-refundable $25. We are only able to enroll 25 people per summer session. If you'd like to apply to be considered, add your name to the interest list and you will receive an application when it becomes available during the first week of June each year. the technical details of how to answer tricky phenophase questions. In the future we may create online learning modules to address those things. This is an all online, interactive, 3-week (approximately 8-10 hour) course, hosted in the Canvas Learning Management System. The cost of the course is a non-refundable $25, which includes a hard copy of our Botany Primer upon successful completion with an 80% overall. Each week will include a combination of background readings, videos, and an exploration of the Nature's Notebook website and its resources. You will be required to complete one self-paced assignment to demonstrate your competency. You will also be required to participate weekly in ONE hour long Online Meeting, with peers and USA-NPN Communicate and Connect Staff, to share ideas, ask questions of the experts and celebrate what you've learned. Meetings are offered on Mondays at 3 pm PST and Tuesdays at 9 am PST - you select the one that best meets your schedule. 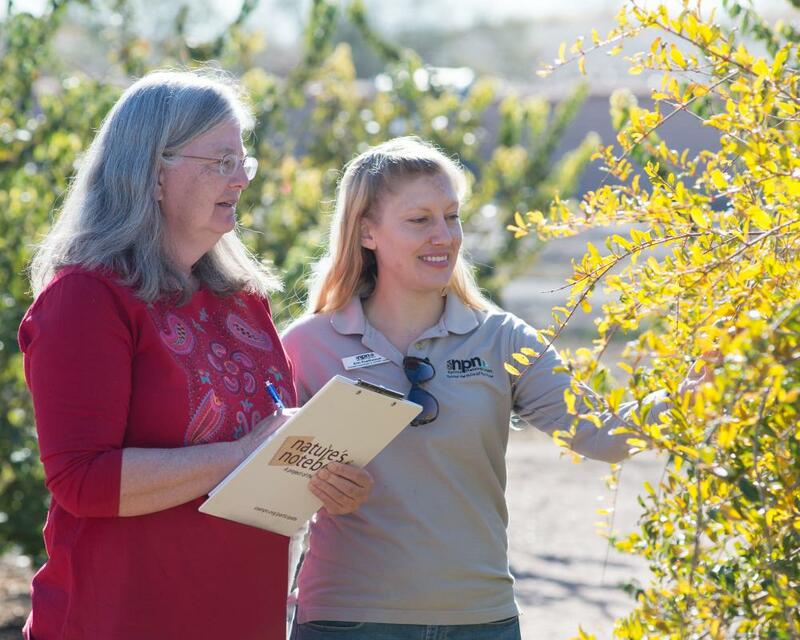 Want to become a Certificed Local Phenology Leader? If you'd rather take a more in-depth program planning course for Nature's Notebook, consider our spring and fall Local Phenology Leader Certification Course. This 80-hour course will help you create deliverables that can immediately be used to implement a monitoring program. You will also be publicly recognized as a Certified Local Phenoogy Leader. 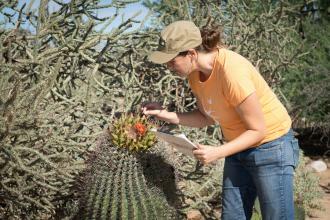 Is the Local Phenology Leader Certification Course right for you? Are you interested in learning how to use Nature's Notebook for management, research, or education? Become a Certified Local Phenology Leader!